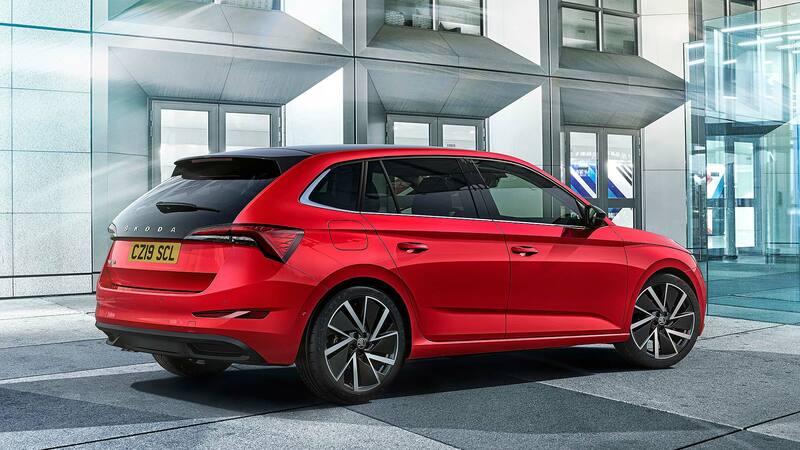 The new Skoda Scala five-door family hatchback will cost from £16,595 when UK ordering opens at dealers from May 2019. Deliveries will begin in the summer. Skoda’s rival to the Ford Focus and Volkswagen Golf will come very well-equipped straight out the box; every variant features LED headlamps, air conditioning and alloy wheels as standard. Every model also has the biggest boot in the family hatch sector. 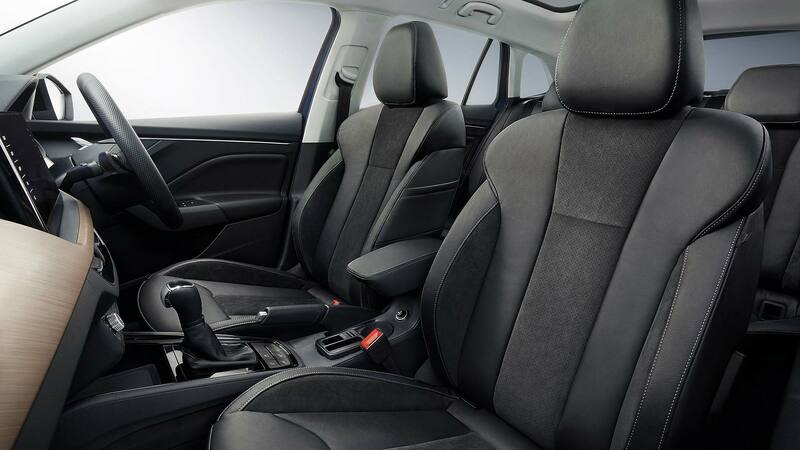 The entry-level S gets a snazzy leather steering wheel, all-round electric windows and DAB radio, along with safety aids such as front brake assist and a lane-keeping aid. However, the S won’t be among the first batch of deliveries: it arrives later in the year. 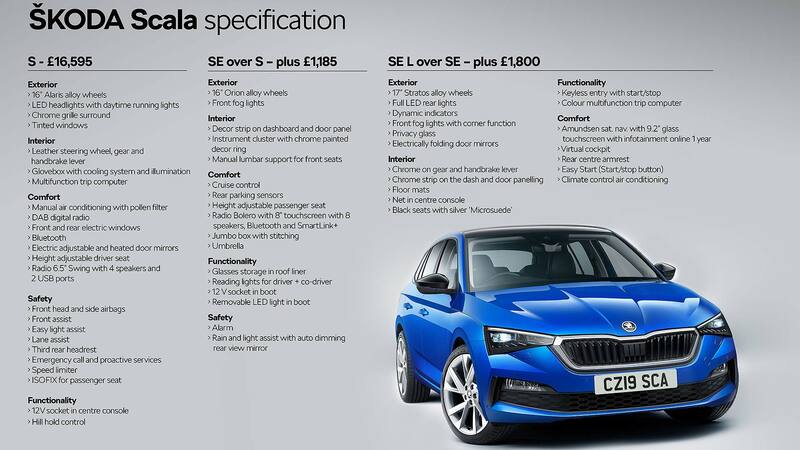 This means the effective entry-level Scala for buyers eager to get behind the wheel is the mid-grade SE – with prices starting from £18,580. The SE does come with a useful equipment boost, though. An upgraded infotainment system called Bolero, with an 8-inch touchscreen and more speakers, plus cruise control rear parking sensors and Skoda’s famous built-in umbrella, feature as standard. Top-line Scala trim is SE L grade, priced from £20,380. This version, claims Skoda, has one of the most comprehensive standard specs in its sector. The infotainment system is upgraded again, to a 9.2-inch Amundsen setup with glass touchscreen (which Skoda also claims is the biggest in the sector), the gauges turn into a digital cockpit display, and air con becomes climate control. Alloys grow from 16-inches to 17-inches, the rear lights turn into LED units, with fancy ‘sweeping’ indicators, and privacy glass is added at the rear. Inside, seats get Microsuede trim and extra chrome features inside. Just as with trim lines, Skoda also keeps the engine choice down to three: two petrols and, because it still makes sense to some, a diesel. A 1.0-litre TSI petrol engine comes with 115hp at launch (a cheaper 95hp motor arrives with the S grade later in the year – this is the £16,595 car) and the range-topper is the 150hp 1.5-litre TSI. The diesel is a 1.6-litre TDI with 115hp. Skoda will let every engine bar the base 95hp motor be paired with an optional DSG automatic. It will also tell us fuel economy and CO2 figures a little nearer launch time. 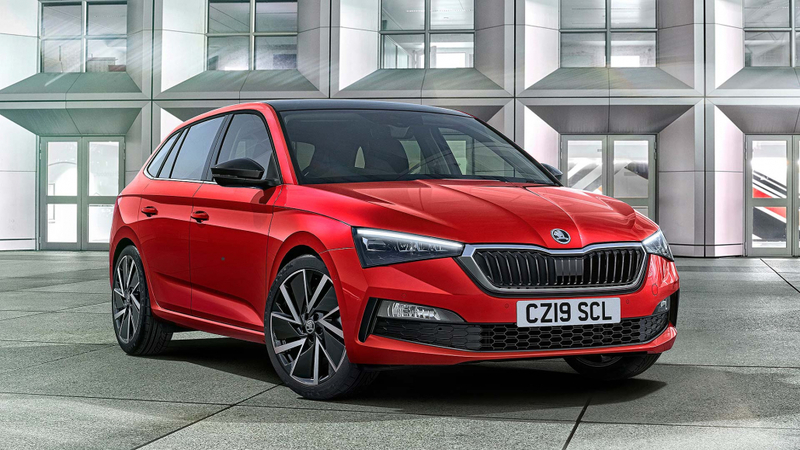 Filling the gap in the range between the Fabia supermini and larger Octavia, the Skoda Scala is to fight with some of the best-selling cars in Britain. With prices several thousand pounds less than its new rivals, it will be an interesting new addition to the sector.